Tennessee linebacker Daniel Bituli (35) is a big-hitting part of the Volunteers defense. 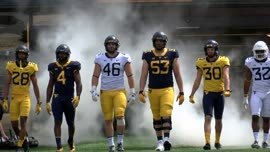 West Virginia, 41 Tennessee 24: We saw last year how good the WVU offense can be under Will Grier and now Grier, OC Jake Spavital and the rest of the offense have had more time to prepare. Rocky Top has renewed optimism because of the coaching change, but it’s a long way back for a team that won just four games last year and has only one player (offensive lineman Trey Smith) among the SEC’s preseason first, second and third teams. West Virginia 42, Tennessee 27: I think this is a big situational advantage for West Virginia. Tennessee is trying to rebuild after a disastrous 2017 season. The Vols have a first time head coach and will be implementing a new scheme on each side of the ball. West Virginia counters with perhaps the best quarterback in the nation and a loaded group of receivers. The offensive firepower from West Virginia is the difference in this one. 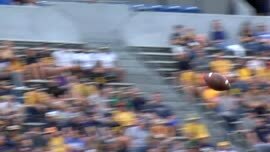 West Virginia 36, Tennessee 20: The eyes of the nation will be fixated on Will Grier, David Sills, Gary Jennings and the WVU potent offense. 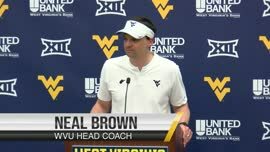 The eyes of West Virginians will be focused on Defensive Coordinator Tony Gibson and his “Dawgs” on defense. If they hold up their end of the bargain, the preseason hype will be justified. Luckily for them, Peyton Manning isn’t walking through that door. Heck, Casey Clausen isn’t walking through that door. West Virginia 35, Tennessee 21: Tennessee will be good again–Eventually. But game one is too soon for a young Volunteers team that has 11 freshman and newcomers in its two-deep. Will Grier should feast upon a secondary that will start two freshman cornerbacks. Expect Grier to have exceptional game to get his Heisman Trophy campaign jump started. 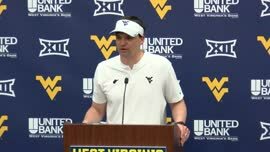 West Virginia 38, Tennessee 20: Barring a three-INT day by Will Grier or a couple fumbled punts, West Virginia will exit Charlotte 1-0 and Jeremy Pruitt will start his head coaching career 0-1. 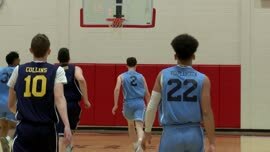 Tennessee boasts an assortment of talents but needs time to enact its culture change and restore swagger. For this week at least, it doesn’t matter whether it’s Pruitt, Greg Schiano or Bob Neyland on the sideline. The Mountaineers take care of business.